This is a guest post by Wellness Editor-at-Large and naturopathic physician, Dr Angela Ross. Optimal health involves many components, not least of which are access to fresh air and good food, as well as opportunities for relaxation and detoxification. 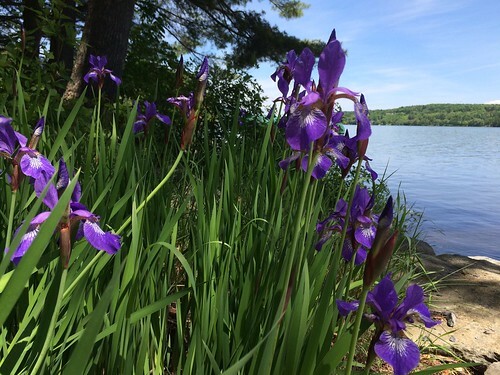 Fortunately for all of us, just over the New York border the beautiful province of Quebec, Canada, has much to offer in the way of moving you a step closer toward optimal health. And culturally vibrant Montréal, a world-renowned city and one of Quebec’s most beloved destinations, is perhaps the ideal place to begin. 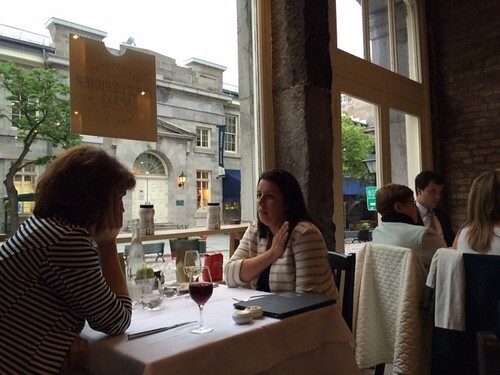 You cannot go to Montréal without celebrating the food. This bustling city is a haven for the gastronomically-inclined. 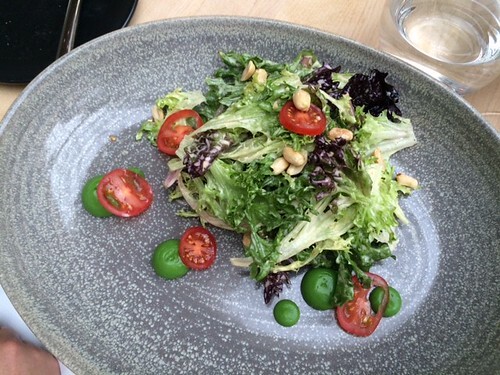 The ingredients are fresh, local, and put to astonishingly creative use. Montréal’s culinary scene is heavily influenced by its French roots, so prepare yourself for rich foods, delectable local wines, and irresistible desserts. There will most certainly be times and places for you to decadently indulge, however, for those who are attempting to maintain some dietary normalcy during your travels: don’t fret! No matter where you choose to dine, you will have access to nourishing, deliciously prepared produce. No matter how “haute,” restaurants generally will not hesitate to accommodate your food restrictions, and skillful chefs will be eager to experiment with flavors and ingredients that will keep you happy AND healthy. Pro tip: Consider asking your server for a salad or a side dish involving local, seasonal produce to pair with your meal. Incorporating lots of nutritious veggies and fruits will help enhance your energy and mood and will help keep your digestion regular – even when you travel. Plus it gives you an opportunity to sample the fantastic specialties of the season. 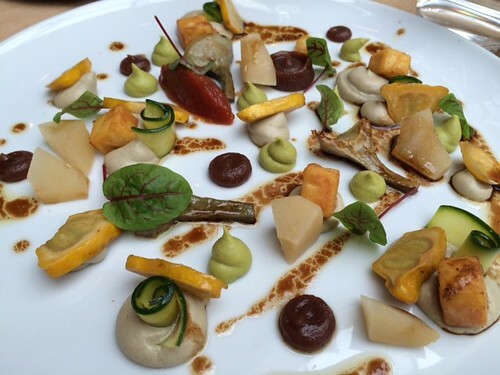 Chez L’Épicier charms its diners with a menu of flavorful, creative, and elegant cuisine. For the past decade, Chef Laurent Godbout has reinvented Québec gastronomy using local products with unique artistry. In both design and in its culinary offerings, Laurea displays thoughtful intelligence and deeply nuanced flavors. Laurea offers local, seasonal cuisine that colorful and refined, created from the inspirations of the chef and co-owner, Hakim Chajar. Voted 2010 restaurant of the year by the Guide Debeur, 4-Diamond CAA/AAA Restaurant Europea and its Executive Chef Jérôme Ferrer invite guests to discover inventive and modern cuisine prepared from the best products in Québec. Relaxation and detoxification often go hand-in-hand and there is no better place in Montréal to experience both than Bota Bota. This incredible spa offers saunas, a steam room, cold plunges, and multiple tubs/pools heated to different temperatures in the delightfully unique setting of a completely refurbished old ship moored in Old Port. 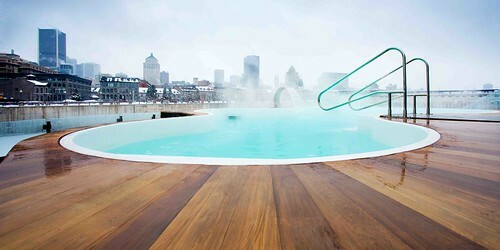 Exercise your body’s largest organ of detoxification as you sweat out the chemicals of daily living in the dry heat of a sauna with a panoramic view of downtown Montréal. Rinse all those toxins off and close your pores with a refreshing and enlivening cold plunge. Select to do your cold plunge indoors or outdoors, depending on your personal preference. After a good sweat and an invigorating cold plunge, your muscles will feel like butter. Honor your body’s natural inclination toward collapse by resting for as long as you need in any of Bota Bota’s amusing offerings: bean bag chairs, hammock swings, deck chairs (befitting a cruise ship), couches, astro turf, in a body-temperature water tub, or in a room full of bunk beds with port windows. Don’t hesitate to spend the better part of the day at Bota Bota. Trust me: you won’t want to rush this experience. The spa even offers a restaurant to keep you nourished with food and beverage. Spend approximately 3 minutes in the hot pool to warm the body and promote sweating and detoxification, and to allow your pores and blood vessels to open fully. Move immediately into the cold pool and spend approximately 30 seconds to cool the body and to cause your pores and blood vessels to constrict – thereby enhancing circulation and filling your internal organs with freshly oxygenated blood. Return to the hot pool for another 3 minutes and enjoy the tingling and relaxation as everything shifts again. Then back to the cold for 30 more seconds. 5. Repeat this 3 to 5 times and always end on cold. Docked at the Old Port, this contemporary spa, magnificently fashioned in an old ferryboat, takes on the allure of a chic liner with minimalist décor. Elegant and peaceful, Bota Bota hosts some of the most sublime views of the St. Lawrence River and the city. Every city-dweller would do well to create an itinerary that includes some exposure to nature. Spending some time in a space that invites deep breathing and pure, contemplative relaxation will do wonders for your body and your soul. 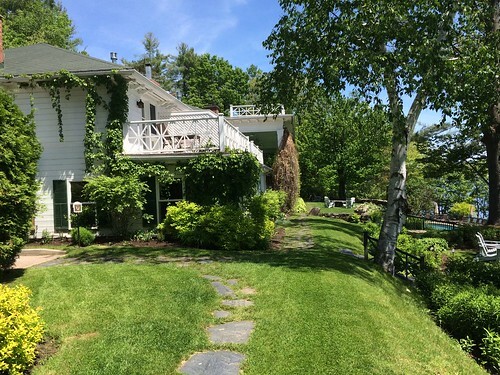 Manoir Hovey, located a lovely 90 minute drive northeast of Montréal, offers such a space. You pull up to the gracefully discreet hotel office and you find on arrival that your shoulders are a bit less tense, your face softens into a relaxed smile, and your breaths are getting slower and deeper. The rooms here are luxuriously laid out, encouraging your inclinations to relax, and each has its own deck or balcony with breathtaking views of Lake Massawippi. Park yourself in one of the many Adirondack chairs with your favorite book or your favorite friend and lose yourself in the calm that this space provides. A server will even deliver your drinks right to you as you rest in the lawn. The cocktails are as fresh and creative as the food, and all of your senses will be nourished during your stay – no matter how long or short. If you are more physically inclined, borrow one of their guest bicycles and pedal yourself along the lake into the quaint town of North Hatley. If you would rather stay on the water, take any of their wide variety of human-powered watercraft out and explore the beauty of the lake. 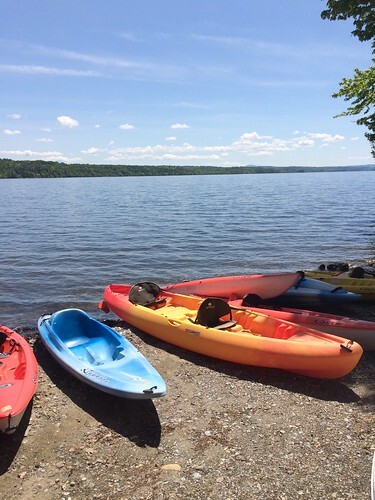 Grab a friend and take a paddle boat or a canoe out into the center of the lake; or exercise your core with stand up paddle-boarding or kayaking. Pro tip: Kick your shoes off for a bit and connect with the earth by walking around this perfectly manicured lawn with bare feet. This not only provides good exercise and stretching for your feet; it also helps ground you energetically. There are even some compelling theories about the benefit of walking barefoot due to the transfer of ions (electronically charged atoms) between the earth and our bodies. Manoir Hovey is a 5 star Relais & Chateaux property on the shores of Lake Massawippi just outside of North Hatley, one of Quebec’s most picturesque villages. 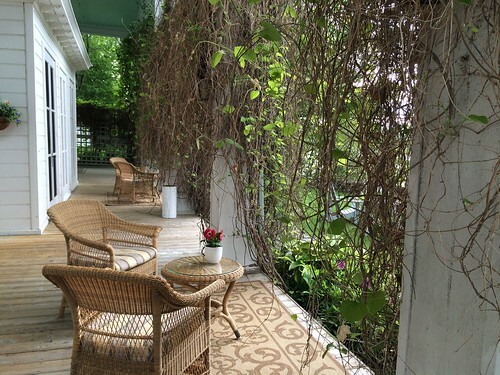 With thirty-seven beautifully appointed bedrooms and suites, year-round activities, Manoir Hovey is truly one of Canada’s most charming and romantic boutique inns. Their award-winning four diamond restaurant, Le Hatley, showcases contemporary Quebec cuisine complemented by an extensive wine list. Overlooking the lake and surrounded by English gardens, the dining room has a tranquil setting with breathtaking views. To recap: Go on vacation to eat well, detoxify, relax, breathe deeply, and walk barefoot. That’s just good medicine.